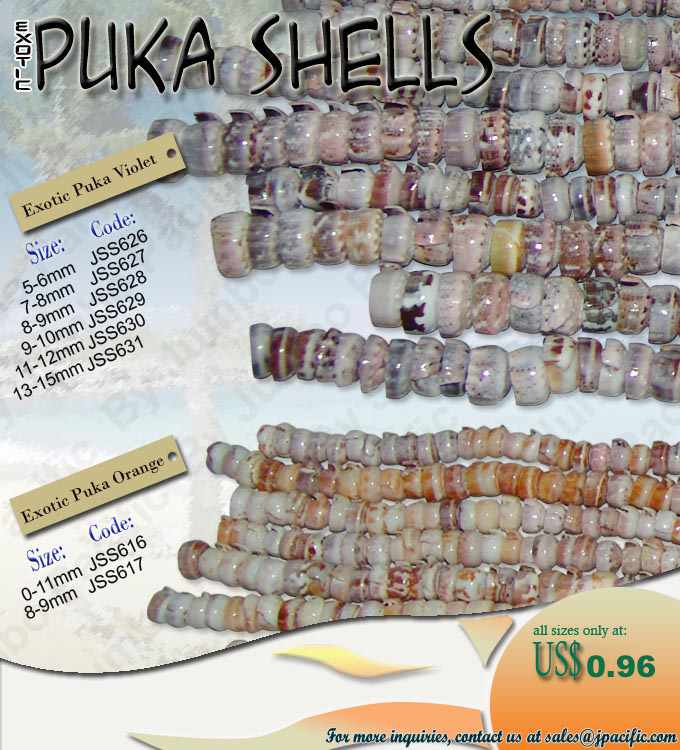 Handmade Puka Shell Necklaces Manufacturer Wholesale for export. Who says puka shell fashion accessories was already done and out of trend? Well, puka shell fashion accessories continues to make a strong comeback this season. It’s still on trends and it’s always on trends. We still have many stocks to offers. Puka shell fashion accessories are being wore by many international artist. Puka shell fashion accessories is made of puka shells that’s being cleaned and grinded to create into a fashionable accessories. Handcrafted and design by our talented designers. Puka shell fashion accessories can be wore in any kind of occasion not just for summer. An unforgotten charm that gives an luck and fashion. It’s also gives an elegant appealing. Depending on how you wear it into your own style of fashion. 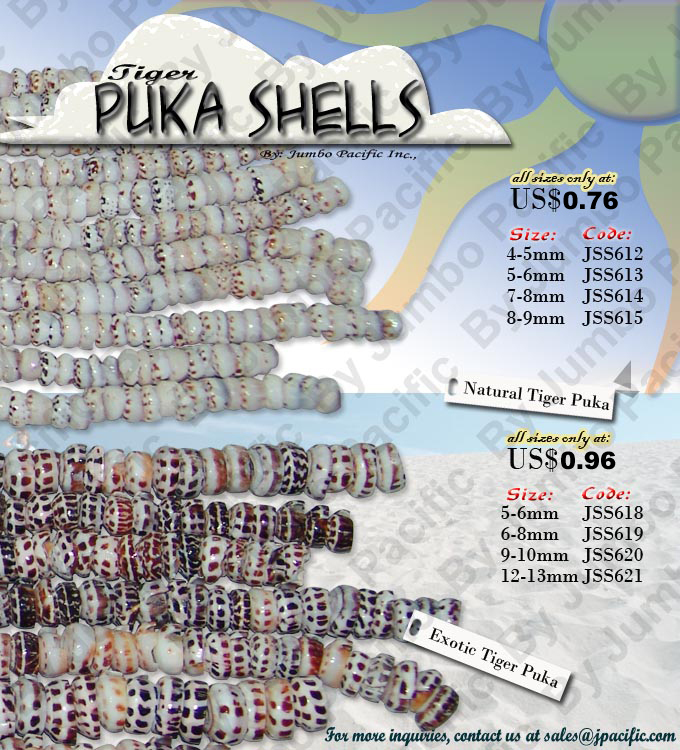 Wild Jumbo Puka Shell in assorted size 15-30 mm diameter in Necklace & Bracelets. 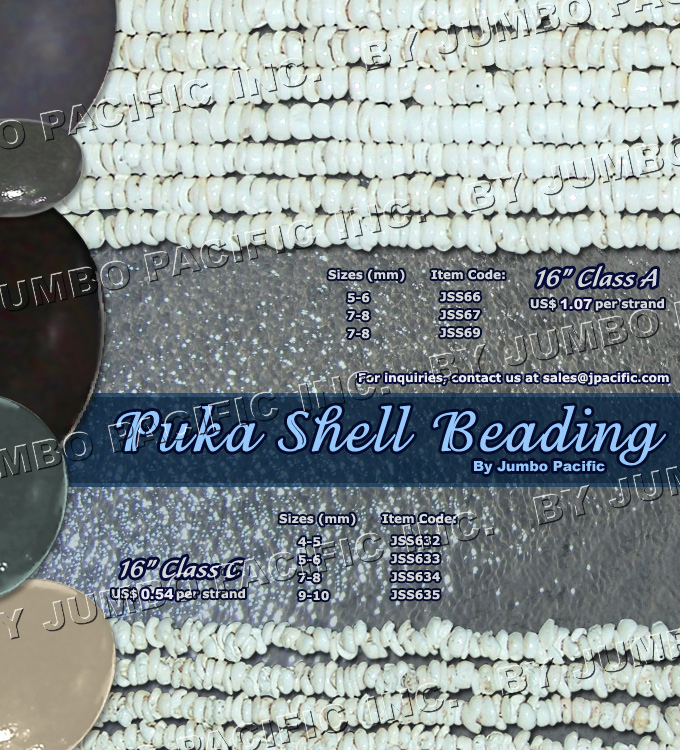 For more designs and styles keep on updated on our latest puka fashion shell accessories. Designs and style of fashion will also evolved. 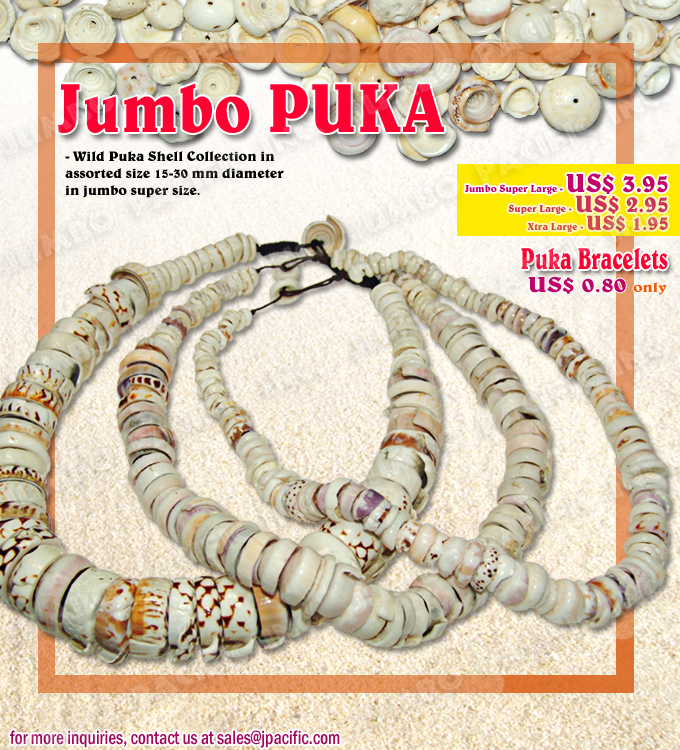 Start collecting and don’t hesitate to make puka fashion shell accessories and puka as center of your own style of fashion. 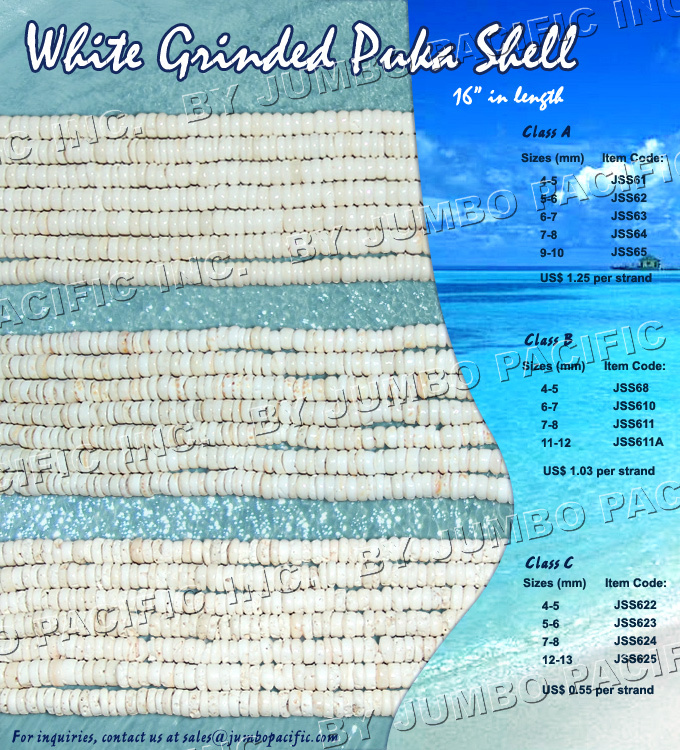 All handmade puka shell in strand wholesale supply Philippines.